Former Blue Jay hurler Chris Michalak is currently the pitching coach for the Class-A level affiliate of the Washington Nationals, the Hagerstown Suns. Originally drafted by the Athletics in 1993, Michalak also pitched for the D-Backs, Rangers and last with the Reds, in 2006, during his Major League career. Michalak has hung around as a minor league stalwart in recent years, pitching for the Nationals, Marlins and Blue Jays organizations in the past few seasons. 1BlueJaysWay correspondent Jay Ballz had the opportunity to chat it up with Michalak this week and that interview lies ahead. Can I get some comments from you on the ups and downs so far this season with Hagerstown's pitching staff? As of late, we've been- before these last two games- we've been pretty consistent. Our guys have been pounding the strike zone and getting batters to put the ball in play and our defense has been making the plays behind us. We've been doing okay and had a nice little run these past two weeks. And then we have a game like Wednesday (Suns' staff allowed 11 runs in a loss to Lakewood) but they're young and they're learning and they're starting to put some stuff together. Hopefully, they can keep it that way. As a veteran guy, who isn't too far removed from your own pitching career, what do you tell young guys when they struggle or when there are mistakes made behind them in the field? The biggest thing that a lot of these young guys fall into is, when things aren't going their way, they try to do too much. And all that we ask them to do is what they're capable of doing...executing their pitches, their fastball doesn't need to be any harder and their curveball doesn't need to be any sharper, they just need to execute the pitch and locate. That's the biggest thing that these guys need to learn, is that they just have to trust their stuff. Are there certain pitchers on the staff that you are extremely confident could have success at higher levels? I think all these guys definitely have a shot to pitch at higher levels if they trust their stuff. That's the biggest thing...is to gain confidence in themselves. It's been fine, it's been good. I've been lucky to have this opportunity to stay in the game. I feel very fortunate that the Nationals gave me the opportunity to do this. It's been fun and I enjoy it and it's a lot of the same ups and downs as you go through as a player. What was the process like leading to you obtaining the job with Hagerstown as pitching coach? Basically, I was still asking around to see if anyone was interested in me pitching for them. I called the Nationals, I had been with them before, and knew a lot of people in the front office and among the on-field staff, and asked if there was any interest in me pitching, and they said that they were full, but they did have some interest in me as a coach if I was ready to start coaching. Things fell into line and I thought it was a good opportunity for me to start my coaching career. At what point did you know that you would eventually become a coach? Probably since I started playing this game. I really enjoy the game and I had been a player for so long, it just becomes a part of you. During your later playing years in the minor leagues, had you already taken on that role a bit, playing with so many younger guys? Guys would ask me certain things about how to go about your business and how to get prepared and things like that, and that was fine. When I was coming up, there were always some older guys who I would go and pick their brains and see how it was, so it's just part of the baseball family. People just pass things down. What was the process like catching on with the Toronto system last year, as a pitcher? With Toronto, it was a unique situation in that I still wanted to pitch. They gave me the opportunity to pitch, but still with the understanding that if things didn't work out that I was going to take over their pitching coach duties in the Gulf Coast League. So, I was in their extended spring training, doing pitching coach duties, staying in shape and pitching some innings there. I went to triple-A for four days, because they had some guys hurt and I also went to the Florida State League. And there were no other teams that were interested in me, so once the Gulf Coast League started up, I finished the season coaching there. They had offered me a job back, but the Nationals came through with this out of nowhere, while I was still looking to pitch, and this seemed like it was a better fit for me. 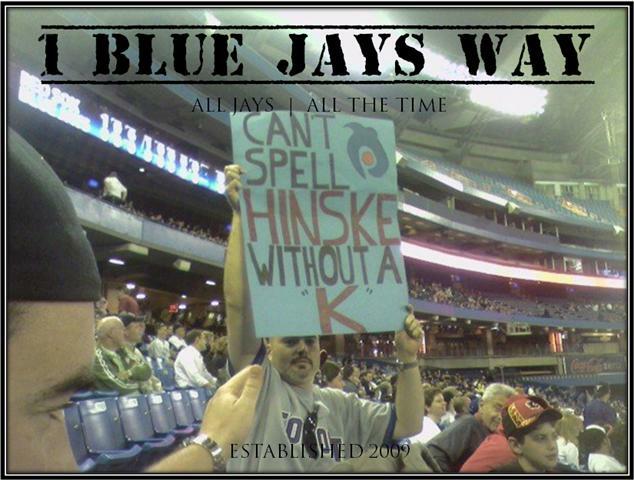 There's no ill will with the Blue Jays, they're a quality organization. I just felt like this was a better fit for me and my family. What would you say are some key differences between the Toronto and Washington organizations? What are your thoughts on former Blue Jays manager Buck Martinez? Buck's a good man. He told me that I made the staff in 2001. He's a very good man, a very kind man and I have nothing but good things to say about Buck. I see him once in a while and we cross paths and he's always got a smile on his face. 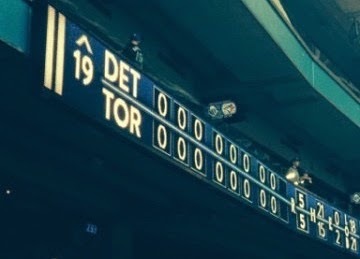 How did you like calling Toronto and SkyDome home? I love that city. I loved playing there. I loved being part of the Blue Jays. Pitching up there was a great experience for me and the fans were very, very kind to me. I really enjoyed pitching there for them and even when I came back as a visitor, they were still kind to me. It's a quality city. As also a nationals fan (I grew up an Expos fan), I really appreciate this interview. As I also blog for the Washington affiliates (check out www.nationalsprospects.com) this interview is great information, and combines both of my worlds! In relation to what he was stating about the Suns... everyone has bad games, but I truthfully feel that they have done quite well this year (Trade Overbay for Sun players haha). Honestly though Michalak offers key insight into what the young players are able to do, and what they arent (they can play well if they don't try to do too much, etc). Thanks very much for this information and combining my worlds together in one! Go Jays! Go Nats! Closet Expos fan eh? It's cool, you are still welcome here. Our boy Jay has some mad connections on the MILB circuit. 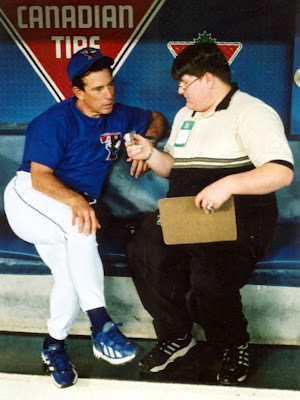 Look for some more random ex Blue Jays interviews. My thoughts exactly. Jay is the man! Thanks for the compliments folks. Should have some content up on Saturday morning about the D'arnaud all-star nomination, along with some of his former Phillies teammates. Check that out on PhoulBallz.com!